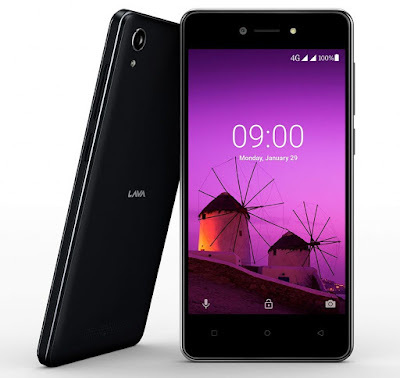 Lava has launched Lava Z50 its first Android Oreo (Go edition) smartphone.it has Bokeh mode and an LED flash for both front and rear cameras. It also offers search in 10 major Indian languages (including Hindi) besides enabling search for images, weather and also translate from search home screen. Airtel also announced that it has partnered with Google to bring low-cost smartphones powered by Android Oreo (Go edition) to the Indian market. In addition to Lava, Micromax will also introduce Micromax BHARAT GO smartphone powered by Android Oreo (Go edition) in partnership with Airtel. The phones will be launched under Airtel’s ‘Mera Pehla Smartphone’ program starting March 2018. These will also come pre-loaded with compatible apps, including MyAirtel App, Airtel TV, and Wynk Music. It will come in Black and Gold colors and will be available at over 100,000 retail stores by mid-March, 2018. It will also come with a 2-year warranty and will come with cashback offer of Rs. 2000 from Airtel.